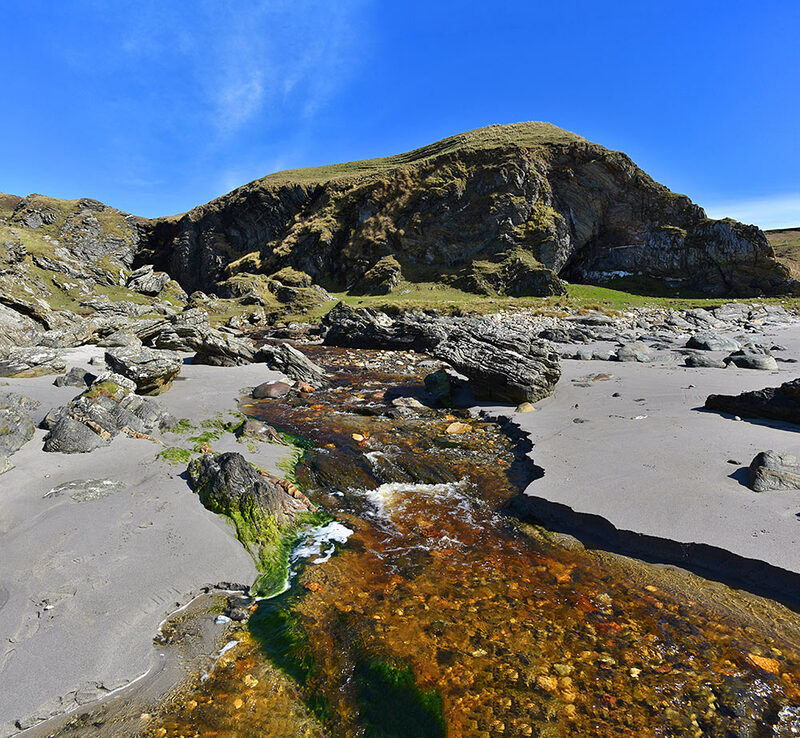 A view from the beach at Alt a’ Ghamhna below Lower Killeyan. Flowing out from the narrow gorge with Eas Mòr waterfall Abhainn Ghil is running over the beach into the sea. This entry was posted in Beaches, Landscape, New Post, Sunny Weather and tagged Abhainn Ghil, Alt a' Ghamhna, Islay, Lower Killeyan by Armin Grewe. Bookmark the permalink.